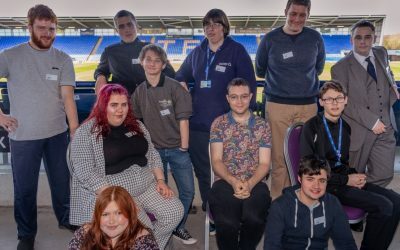 Katie started her Supported Internship in January 2019. 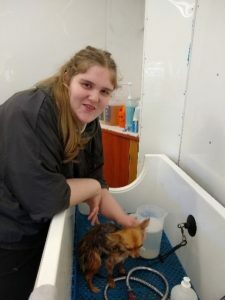 Katie attends Futures each Monday and Friday, while her work placement is at dog groomers, Canny Cuts, every Tuesday, Wednesday and Thursday. Katie is very caring and helps to keep the dogs calm. Her duties include bathing and drying the dogs when they come in for grooming. She also helps with general housekeeping and checking stock in the retail area. Katie has shown a great work ethic and enjoys her tasks. She has fitted in well with the rest of the team and always looks forward to going into Canny Cuts.